As a former warehouse, this 60,000 sq. ft. building sat vacant for eight years, prior to GROWTH taking possession of it. The building now features 22 Live-Work condominiums and first floor commercial space. 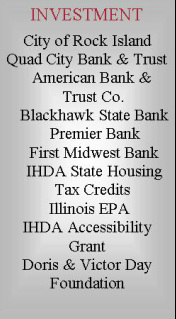 With its close proximity to the riverfront and situated in Rock Island’s downtown, the building presented many opportunities in its redevelopment. After years of planning and $8 million in public and private sources, the vision for McKesson materialized in 2009. The redevelopment combines 21st Century living and work accommodation with advanced principles of “green” design, all in a historic downtown building. 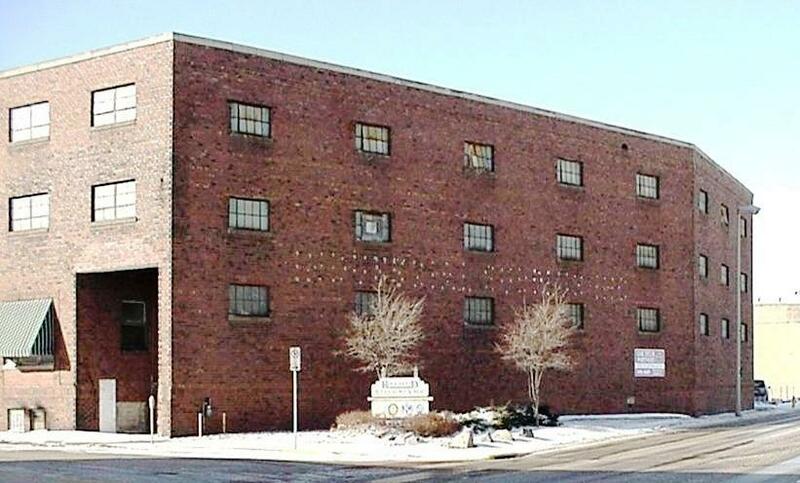 This 20th Century industrial building features include a 10,000 sq. 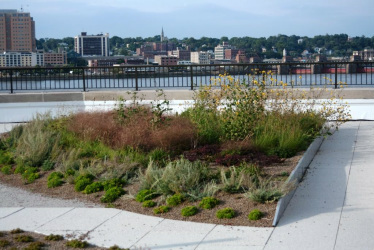 ft. walking green-roof with native plantings, skylights for common area lighting, underground parking, energy-efficient heating and cooling systems. Below: The McKesson building pre- construction and post-construction. 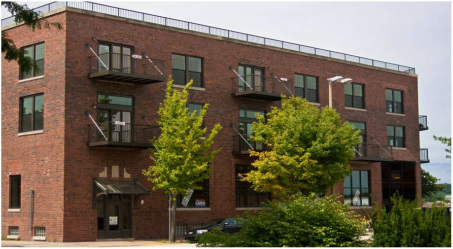 Bottom Left: Interior photo of a condominium, creative use of columns, and view from Rock Island's only green-roof, offering a 360 degree view of the Mississippi River and downtown.